I’ve had this beer so many times this summer it’s really quite strange that I haven’t properly reviewed it yet. Oast House is one of our favourite breweries in Ontario. Situated in Niagara on the lake and surrounded by beauty, it’s a fantastic place to relax and really experience a beer. 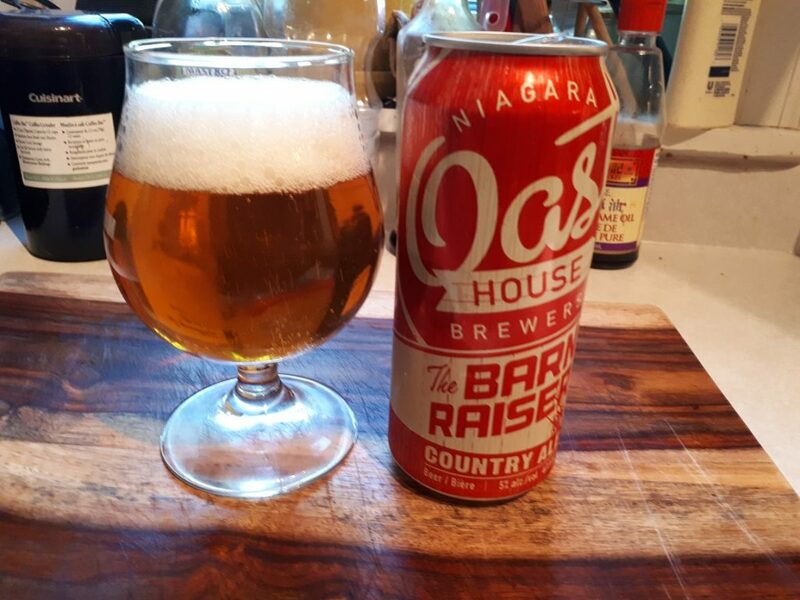 Barn Raiser Country Ale is one of their standard beers and is available across Ontario in the LCBO. It is an American Pale Ale. You can purchase a can at the LCBO for just $3.30 each and it sits at 5% ABV. Appearance: Copper colour with white head that lingers. Filtered. Aroma: Soft honey and pear. Taste: Super light with honey and some pine from the hops. A bit of strawberry. Aftertaste: Short and bitter. Not much too it. Overall: An inoffensive pale ale. Try with a fruit bowl.